That we may no longer be children, tossed to and fro, and carried about with every wind of doctrine, by human cunning, by craftiness in deceitful schemes – but speaking the truth in love, we are to grow up in all aspects into Him Who is the Head, even Christ. I believed in Jesus as a child, but don’t remember the day I trusted Him as saviour. At times I wished I’d had the earth shattering salvation “experience” of many saints. But however a sinner becomes a saint, it is the start of an eternal union with Christ. It is an everlasting ticket into the presence of God in the power of the Spirit – the first step on a lifetime journey of spiritual growth. Peter exhorts us to grow in grace and: as newborn babes, desire the sincere milk of the Word, that ye may grow thereby, 1 Peter 2:2 while Paul reminds us to: speak the truth in love, so we may grow up into Him in all things. Ephesians 4:5 God wants us to become spiritually mature: so grow in grace, and grow in the knowledge of our Lord and Saviour Jesus Christ. 2 Peter 3:18. The reason to grow, is because we have been commanded to grow. The responsibility to grow, is incumbent on each believer. The rate of growth, is always very slow. It takes a lifetime to grow.. and growth can be both joyful and painful. 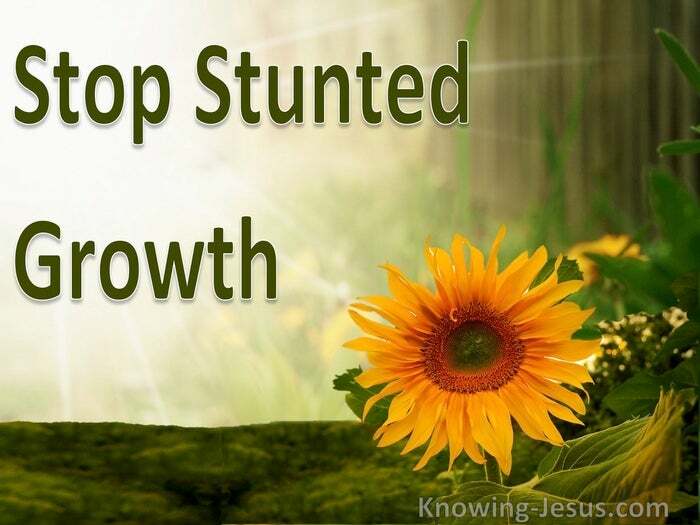 Spiritual growth is either a forward or a backwards growth, but there is no standing still. Sadly many new believers are left to ‘grow’ without good discipleship or sound teaching. Others are pushed into leadership positions, while still babes in Christ. Most have to fend for themselves, which is both irresponsible and unscriptural, and the inevitable result is a belief system founded on man-made doctrine, rather than the God’s Word. Such a biased belief system, often produces false perceptions of God and results in negative growth, or regression to babyhood. When scripture is viewed through the lens of a false religiosity, there is inevitably confusion. When God is seen through the eye of earthly standards, He is misrepresented. When a child is schooled in a man-made belief system, God’s Word is falsified. 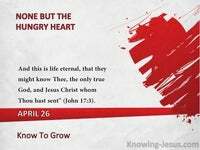 However Scripture is the one and only measure of how a believer is to grow. The Word of God is the only standard of how a Christian is to mature. 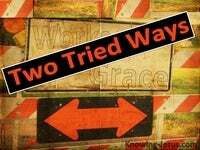 1 Peter 2:1 tells us that laying aside all malice, all deceit, all hypocrisy, all envy, and all evil speaking, you will grow and in very simple language, this means, that putting all sin away or choosing not to sin will cause us to grow. But when we do fall into sin John comes to the rescue: for if we confess our sins, He is faithful and just to forgive us our sins, and to cleanse us from all unrighteousness. 1 John 1:9. The apostle Peter tells us that a little baby has an great appetite for nourishment and believers likewise should desire the pure milk of God’s Word, which will result in growth: Therefore, laying aside all sin, as newborn babes, desire the pure milk of the Word, that you may grow thereby. 1 Peter 2:2. 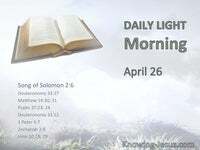 Every believer starts their Christian life on the way to maturity, but Hebrews warns us that many fall by the wayside due to life’s circumstances; feelings; wrong doctrine; lack of teaching or biased perceptions. 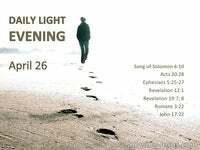 However all the apostles of Christ beseech us to lay aside sin; to confess our sins; to grow in grace and to walk in the light, so that we can prevent our growth from becoming stunted and enjoy sweet fellowship with Father. 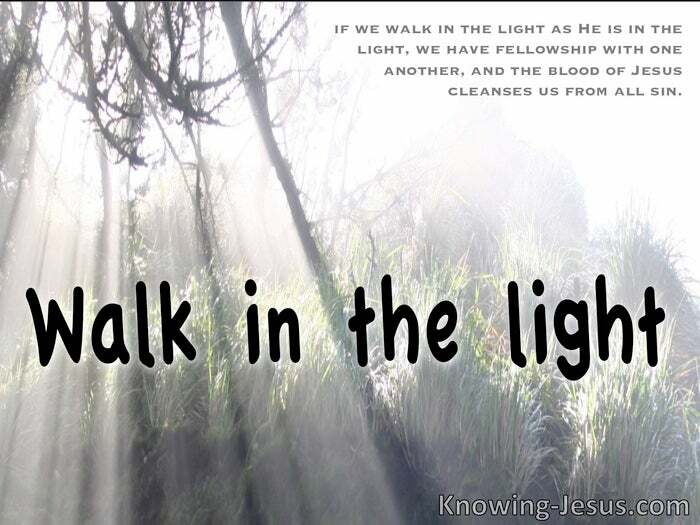 For if we walk in the light as He is in the light, we have fellowship with one another, and the blood of Jesus Christ His Son cleanses us from all sin.. Oh, truly our fellowship is with the Father and with His Son Jesus Christ. These these things were written to us that our joy may be full.